Anna Reay is a professional singer who performs a vast array of musical styles. Also the Anna Reay Duo and the Anna Reay Band. Anna Reay is an incredibly versatile singer, who performs a vast array of musical styles. Anna is based in the North East of England but her theatre shows and cabaret performances take her throughout the UK, Europe and on cruise ships. That is not the end of her talents! Anna, together with The Anna Reay Band, provides an outstanding option for weddings and corporate events. 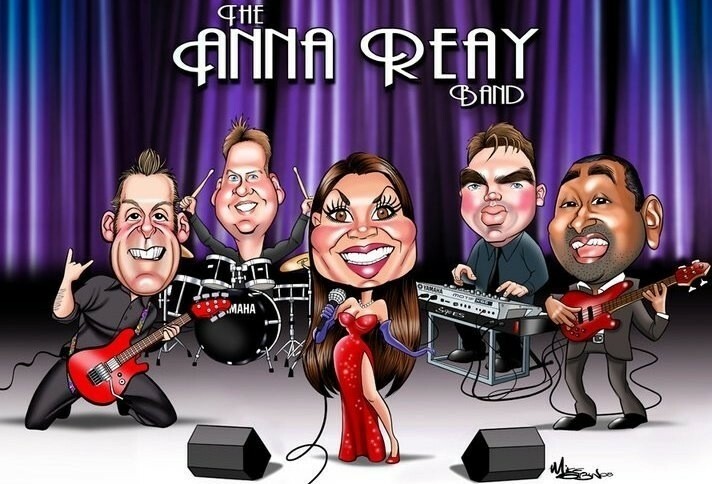 The Anna Reay Band is an extremely talented and popular North East function band providing entertainment for weddings, parties, functions and events in the North East region & throughout the country. With a variety of p ... ackages to suit the client, world class musicians and a service second to none, you will be assured of an event to remember. Anna started in the music business singing in several local bands while she was studying for her degree in music. It wasn’t long before she started up her own band and when completing her degree. Anna also pursued her glittering solo career by performing in cabaret across the country, Europe and on cruise ships. 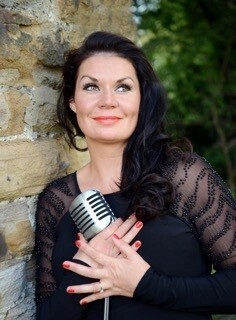 She never fails to entertain her audience, whether it is performing ... an aria in front of thousands at the Sunderland football ground, ’The Stadium of Light’ or singing to more intimate audiences at jazz gigs & cabaret venues. She regularly headlines for P&O Cruise Liners and has worked for Fred Olsen, Saga and Brittany Ferries. Her trips have taken her from Canada and Greenland to Cape Town and many places in between. Other solo performances have taken her for one off appearances in places such as Spain, Finland, Gibralta, Jersey & Tenerife. 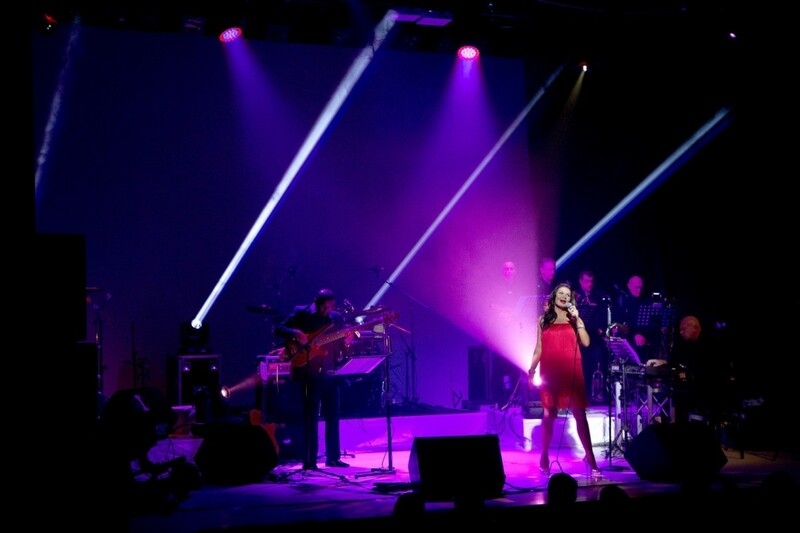 Anna also includes a Shania Twain and Country Act which has proved popular all around the UK, Spain and Helsinki. Anna has become renowned for her versatility and ability to change styles and genres to suit the audience. This led to the successful show at the Whitley Bay Playhouse, in November 2013. ‘Great Ladies of Song’ which celebrated great singers including Maria Callas, Billy Holiday, Etta James, Dusty Springfield, Whitney Huston and many more. Following a short break after the birth of her first baby, she dazzled once again with a one off performance of her most recent show ‘One Enchanted Evening’ which was performed to a packed house at the Sage Gateshead, Hall 2 on 14th Feb 2016. Plans are currently in place to perform this show at other prestigious venues across the North East region and the UK. As a freelance singer Anna works as a session singer at local recording studios, delivers singing workshops in high schools, colleges and privately and is also involved with local musicians recording original material. Anna’s first album entitled ‘Lately’, features the musicians from her band. The album covers some interesting arrangements of popular standards and also a big band recording arranged by Dave Wolpe. Her most recent album was recorded with guitarist Deon Krishnan and is called ‘Anna Reay with Deon Krishnan’. Alan Warner showcase 2004- The Stage. "...her adopted strategy of chatting to her audience was most endearing. In fact Reay’s line in crowd approach made a welcome change from that adopted by many of the West Enders and I liked everything about her. The biggest selling point here however was something you cannot train, coach or acquire by purchase. I’m referring of course to Reay’s sheer charm and stage presence." 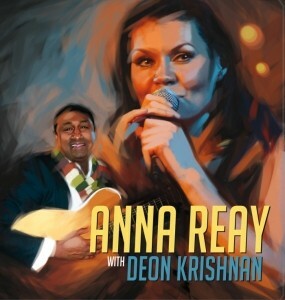 “Anna Reay is a fantastic vocalist with a bright and lovable personality. She captures the audience attention from the offset. Great crisp and precise vocals that tantalise the ears to make a truly memorable listening experience. "Anna Reay has a truly remarkable voice and a deceptively relaxed stage persona. The band are highly skilled and the repertoire moves to the jazz side of popular music with many 'standards' from the 40's and 50's and a song list including 'Feeling Good', Mambo Italiano', 'Ain't Misbehavin' and many other blues, soul and easy listening tunes. I often find the term 'easy listening' misleading since the skill to pull it off successfully is anything but easy in performance. 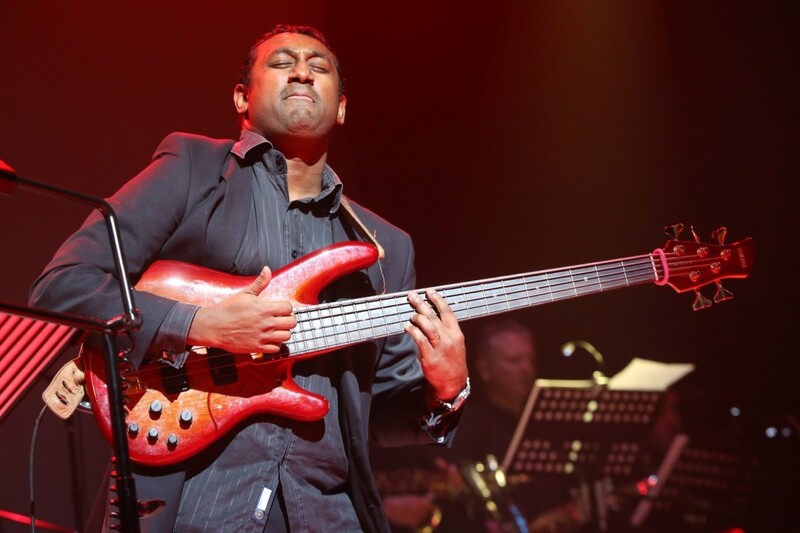 Reay and the band handle the material with style, class and subtlety and the audience are truly appreciative. Her singing voice evokes the likes of Peggy Lee and Natalie Cole but with a contemporary approach. Top marks all round - they are well worth seeking out in the new year." Absolutely brilliant! We have just booked Anna for the 2nd time for our charity ball, in the knowledge that the dance floor will be full all night and we will get excellent feedback for our entertainment ha ha! We have worked with Anna for 10 years and she's a great all round performer. Our guests always enjoy her performances. Cruise ships: Arcadia, Oceana, Aurora, Oriana, Azura P & O. Budicca Fred Olsen. Van Gogh - Travelscope. Saga Ruby, Saga Rose and Spirit of Adventure.